Dan Stevens as Prince Adam. With his animated counterpart, Dan looks like jesús Christ with the long hair!. HD Wallpaper and background images in the princesas de disney club tagged: photo. 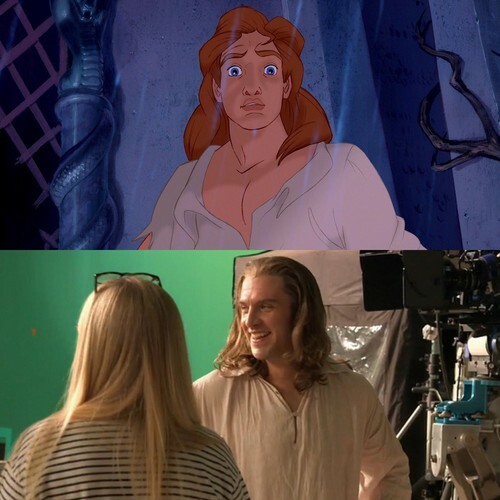 With his animated counterpart, Dan looks like jesús Christ with the long hair! He looks similar with Adam, but I think he should dyed his hair to reddish color!